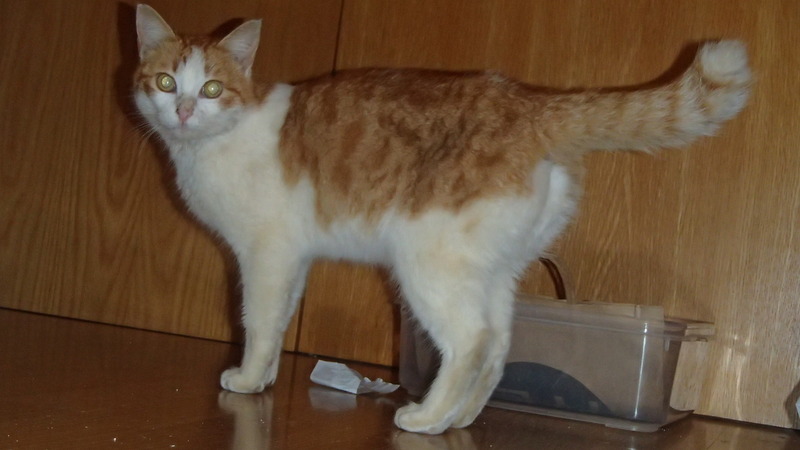 Rita is ginger and white, nearly 1 year old, negative for FIV and Leukaemia and started vaccines yesterday. She was found in Vale da Telha and moved herself in to the Boa Vida skate park around New Years Eve. They fed her but cannot keep her as there are a lot of dogs and people with allergies who stay in the guest house. 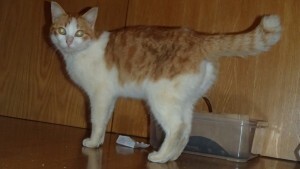 Rita is very friendly and loves attention, she just wants a nice place to call home. She will be sterilised on the 20th January. Ruby is 4/5 months old, tortoiseshell in colour, negative for FIV and Leukaemia and has had her first vaccines, she will also be sterilised on 20th January. 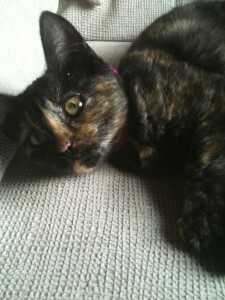 Ruby is very playful and friendly just like a kitten of her age should be. She was found by an elderly lady near Odeceixe who said she was “skin a bone” when she found her. The lady fed her on tuna, eggs as well as cat biscuits and now she is a very healthy looking kitten. We don’t think she will be a big cat. I need a foster home for one or both of them as soon as possible. Please help find a forever home or foster home by forwarding this post.